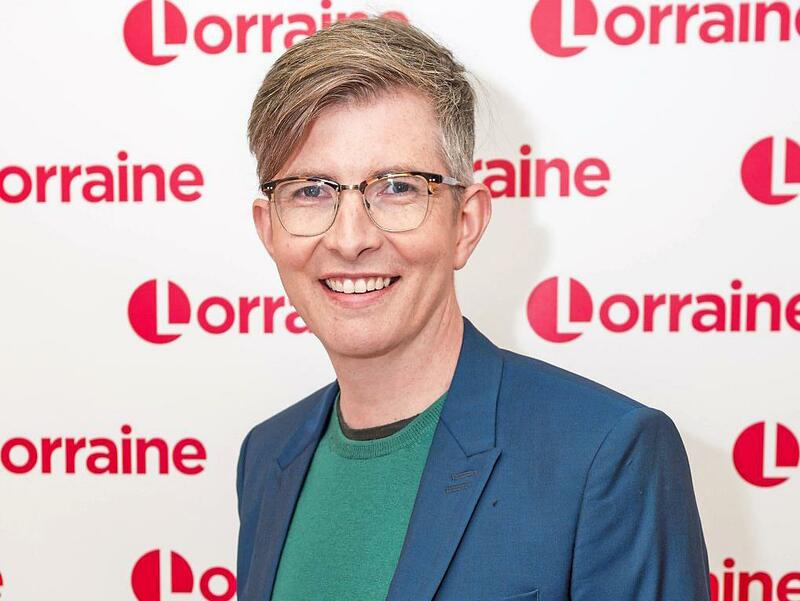 AFTER the phenomenal success of the first two series of The Choir, its star, Gareth Malone, was seeking a run-down British estate for the third. The formula for the Bafta-winning show was simple — charismatic Gareth (pictured below) teaches people who have never had a chance to sing before to form a choir and perform. In the first two series he concentrated his efforts on school children. For the third, 2009’s The Choir: Unsung Town, the producers wanted him to turn his attentions to a community. After a nationwide search, they found a housing development near Watford in Hertfordshire that fitted the bill perfectly — South Oxhey estate. This rundown collection of post-war housing blocks was inhabited by a fiercely proud working-class community — with no tradition of singing. The series was a phenomenal success — the choir he formed performed a series of high-profile concerts, recorded at Abbey Road Studios — and was followed up with a one-off documentary two years later. But should Malone return to South Oxhey today, he may struggle to recognise the place. The 1940s red-brick blocks are gradually being replaced with smart new buildings in a joint venture between Countryside Properties and the local Three Rivers Council. The estate’s residents, many of whom became familiar to viewers of The Choir, are being rehoused in 514 new dwellings, of which 397 are private, 96 social rent and 21 shared ownership. Countryside has understood the close-knit community spirit on the estate evident in The Choir and is making strenuous efforts to protect it. One element of this is ensuring that South Oxhey’s popular shops, cafés and businesses are given new premises in the new-look estate. 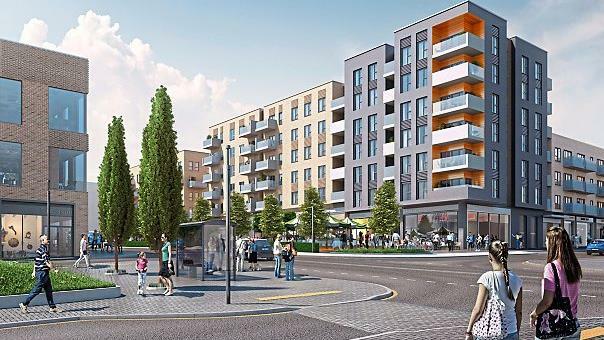 The developer believes it is succeeding in this effort and more than 50 per cent of the new retail units at the new-look estate will be housed by retailers that were already trading locally. They haven’t even provided a canteen for the 110 or so workmen on site each day — of which about 20 per cent are local labour — encouraging them instead to use local cafés. Boston Chicken and long-established family business Spicer Carpets are also local independent businesses that have already been allocated smart premises in the 17 completed retail units. This is a result of a consultation process between Countryside and local residents, conducted via a newly established ‘Community Board’ of residents, a ward councillor and representatives from the developer, which meets every other month. Mike Woolliscroft, Managing Director of West London at Countryside Partnerships South, says: ‘We have worked closely with the council’s project team and Community Board to ensure that all existing retail operators were consulted about moving into new premises delivered by the project. We are thrilled that over 50 per cent of the new retail units will be let to operators that have been serving the South Oxhey community for many years. ‘Local outlets such as Boston Chicken and Spicers Carpets have already made the move while a popular local café called The Rustic Café is undergoing its fit-out and will open soon. We look forward to the opening of new cafés, restaurants, a newsagent with postal service, baker, and an estate agency — all well-known South Oxhey operators. Thirunavukkarasu Ramanen, known locally as ‘Ram’, is one of the longest serving retailers at South Oxhey, and will be running Boston Chicken in its new premises. The development will also provide roughly 8,520sq m of public open space. THE redevelopment, which began in late 2016 and will be complete in the summer of 2022, is being carried out in three phases. The first phase involves the construction of one and two-bedroom apartments. The second will provide the estate’s 13 two and three-bedroom houses (of which 11 will be sold privately) while the third phase will also involve one and two bedroom-flats only. 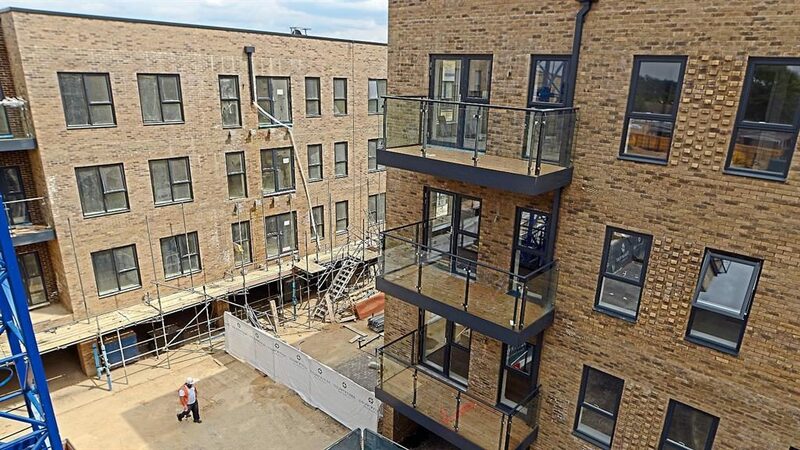 The construction work on the 12-acre site has made use of extensive off-site manufacturing with pre-cast floors, balconies and some joinery put together elsewhere before being brought into South Oxhey. 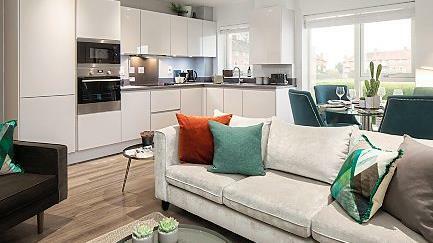 Prices for private sale flats will range from £270,000 to £290,000 for one-bedroom properties and £342,500 to £370,000 for two-bedroom homes. Prices for the houses are yet to be confirmed. Service charges for the one-bed flats work out between £1,290 and £1,756 for the first year and between £1,290 and £1997 for the two-bed properties. All properties are on 250-year leases.